Totally gorgeous and fully responsive to work on desktops and mobile smartphones. The property website really gets the buyers attention and gives them the most important features of the property. 756 Crane ave. Foster City - Property Website Example. 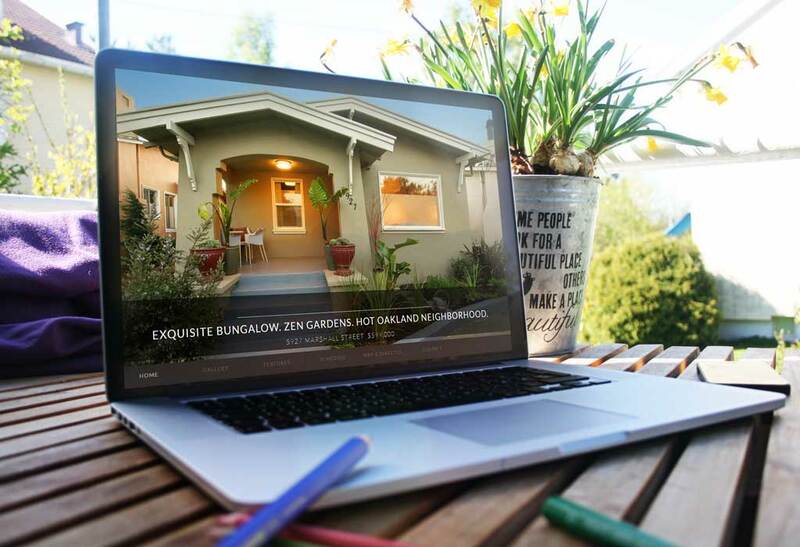 Property websites have all the information a buyer can get from the MLS and Zillow, but in a much more stylish eay. Almost like the staging a home, a property website really gets the buyers' attention and makes them dream about living in your home. I only use professional photography for my listings. We are in a competitive market and your house needs to stand out from the others. Only the best pictures will do. The buyers can guide themselves throughout the home, see the layout and really get a good impression of the feel for the house. Location, location, location. Buyers care about the surrounding area as much as the kitchen layout. I make it easy for them to see the neighborhood. The Bay Area real estate market is fast paced, and buyers need to know the schedule for open houses, and offer dates if the property is expected to sell fast.